May 2008 premieres: Formula 1 Grand Prix of Montecarlo, Triathlon and GEF in Sanremo. Great expectancy for the 66th Formula 1 Gran Prixthat will take place on Sunday, May 25th in the Principality of Monaco. It’s a very important sport and mundane event, probably one of the most important Monegasque events of world importance. (Global Education Festival), an international festival that involves many schools from many European countries and more. It’s an important review for the artistic and cultural exchange among the younger ones. From May 16th to the 18th there will be the 9th edition of the Sanremo Triathlon World European Cup, 4th Daniele Rambaldi Trophy, 8th Marco Gavino Memorial. Hundreds of athletes of different nationalities will face the three challenges of swimming, bike riding and running. 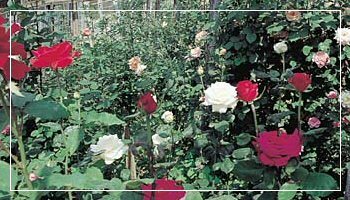 From May 2nd to the 4th in San Biagio della Cimathere’s the review “Rose in esposizione” (roses in exposition), inside the premises of the cultural center “Le rose” and among the village streets.